Qurbani or sacrifice of cattle, as practiced by the Holy Prophet Muhammad (PBUH) is an essential Islamic practice commemorating the sacrifice of Prophet Abraham (PBUH). 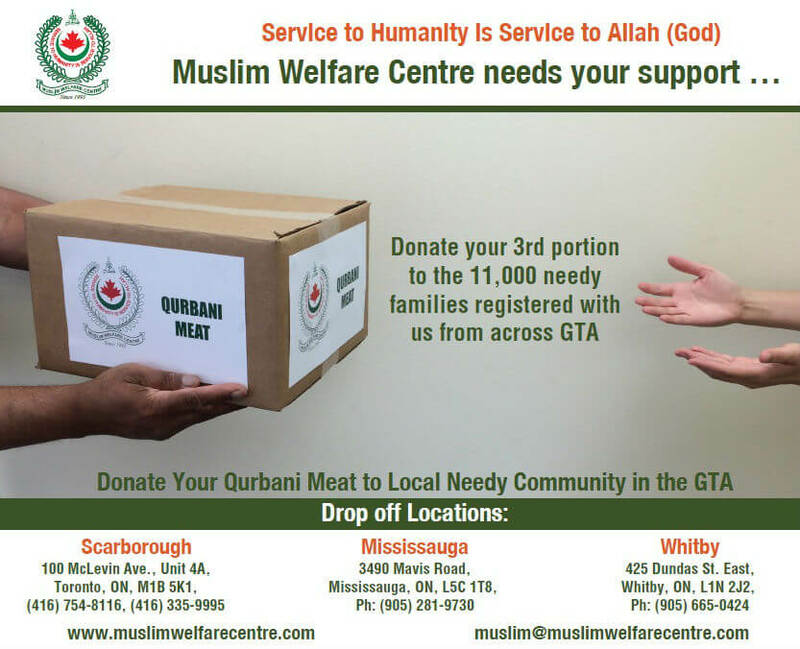 Muslim Welfare Centre has been actively involved in collecting and distributing over 40,000 pounds of qurbani meat to over 10,000 families in need through our Food & Essential Items Banks in Greater Toronto Area(GTA) and Oshawa Region. 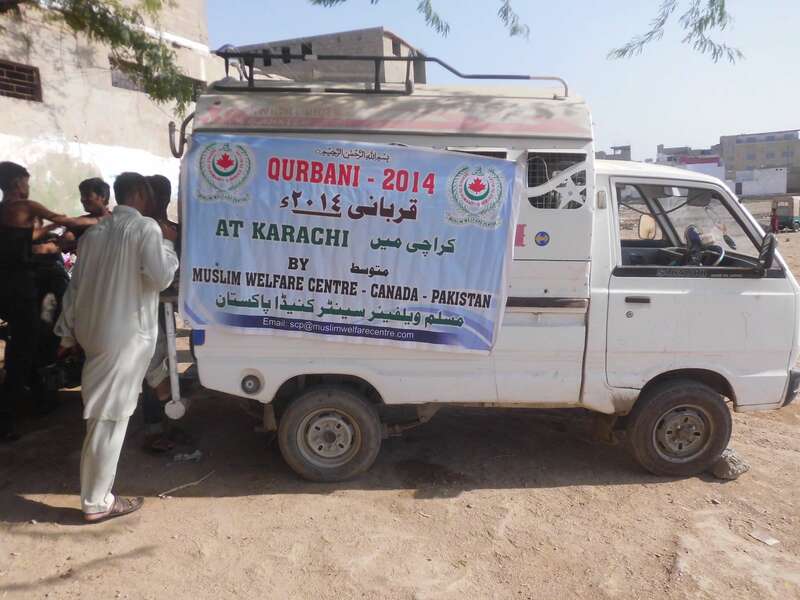 For the last 20 years Muslim Welfare Centre has also arranged overseas Qurbani/Udhiya/Zabiha in poor countries with the help of generous supporters and donors. During this time, we have developed a network of reliable contacts to ensure this important religious duty is carried out on behalf of our donors, and the distribution of meat to deserving more than 100,000 families is fulfilled. Your qurbani provides an essential Eid gift for families who may not ordinarily have access to meat. Please consider Muslim Welfare Centre when thinking of doing qurbani for yourself and your loved ones. To learn more, please call or visit any one of our offices to book your sacrifice.